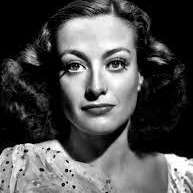 Joan Crawford was an American actress in television, film and theatre. She married four times and her first three marriages were broken down with divorce and the last one followed with the death of her husband Al Steele. Throughout her life, she adopted five children and one was then reclaimed by his birth mother. She disinherited her two elder children Christina and Christopher because of bad relationship. After that, Christina wrote a memoir name ‘Mommie Dearest’, which described the lifelong pattern of physical as well as emotional abuse given by Crawford. Overall, her life was full of ups and downs, but indeed she was a great artist. A birth chart (also known as kundli, janma kundali, or horoscope) is a map of heaven at the time of birth. Joan Crawford's birth chart will show you Joan Crawford's planetary positions, dasa, rasi chart, and zodiac sign etc. It will also allow you to open Joan Crawford's detailed horoscope in "AstroSage Cloud" for research and analysis.